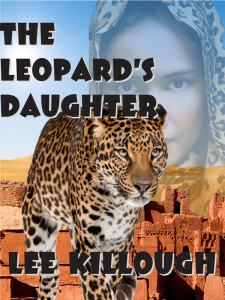 In an ancient Africa of verdant Sahara plains, warrior woman Jeneba Karamoke has grown up scorned by her people because her father was a leopard man. When she rescues a party of fellow warriors from cannibalistic monster half-men, she hopes it will finally win acceptance for her. But no…in order to prove she isn’t lying about the vanished hero Tomo Silla’s part in their capture by the half men she must make Tomo face the tribe. Can she find him, and then survive more monsters, foreign tribes, and a curse laid on a fabled city to bring him back alive?